The fourth day of play at the Khalifa International Tennis and Squash Complex in Doha saw the Qatar Classic Quarter-finalists decided, with seven of the eight seeds joined by Wales’ Joel Makin who continued his run of upset results. 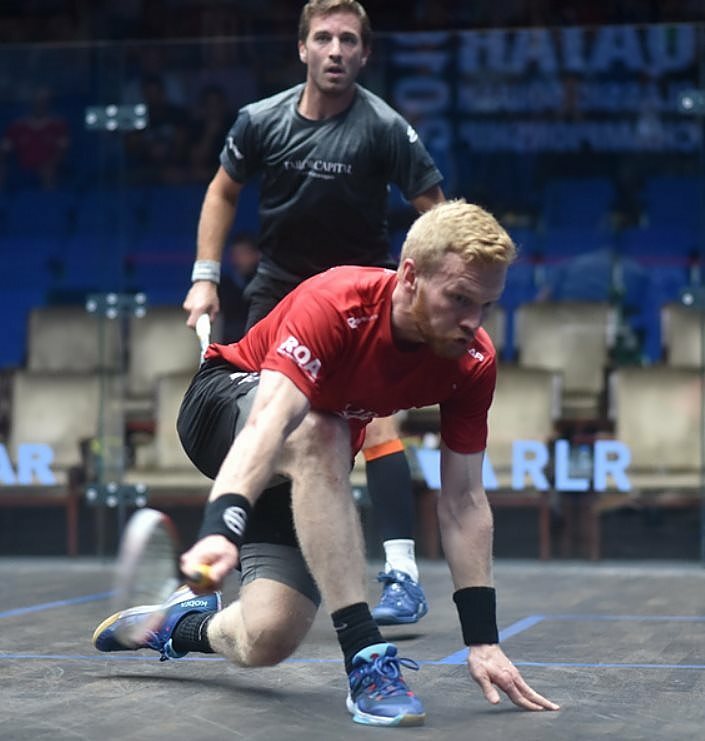 The afternoon session produced rapid wins for Paul Coll, Diego Elias and defending champion Mohamed Elshorbagy, while Simon Rosner fended off in-form Tom Richards in four close games. The evening session started with 2016 finalist Tarek Momen coming from a game down to beat former champion James Willstrop, before Makin got the better of Mathieu Castagnet, the Frenchman forced to retire after suffering an injury early in the fourth. 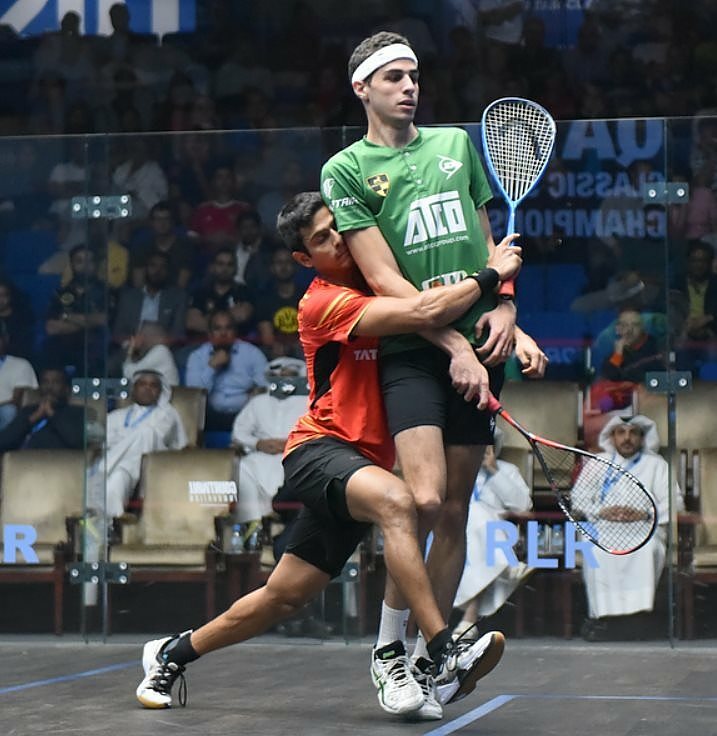 The last eight was rounded off by two more Egyptians as 2016 Champion Karim Abdel Gawad survived a second successive five game battle, taking control in the fifth to deny Declan James, while second seed Ali Farag came from 7-10 down in the first to beat India’s Saurav Ghosal in straight games.